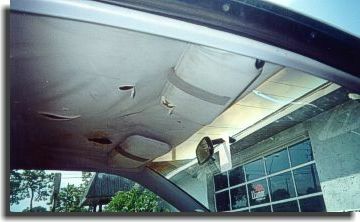 The average cost to recover headliner boards - only - in automobiles is $85. 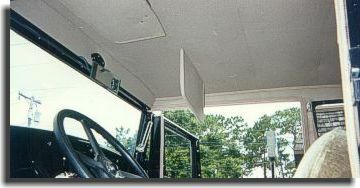 Extra panels covered in headlining material, board repair and trim molding repair are extra charges. Sunvisors are extra with an average cost of $40 - $65 pr. 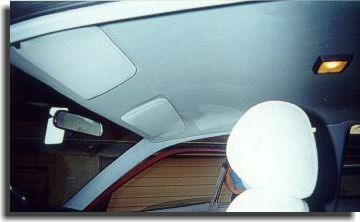 If sunvisors are to be considered for repair, it is recommended that the sunvisors are covered at the same time as the headliner with the same bolt of material. 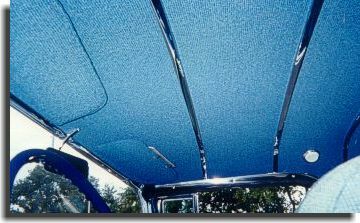 Because of possible slight dye lot variations in color shade from one roll of headlining material to the next, this way the sunvisors will be sure to match the headliner. Older type of headliners - seamed headliners - are more complex and more expensive. 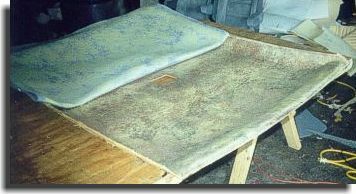 These type of headliners are designed to have fittted panels of material sewn together with a pocket on the back side of the seam. 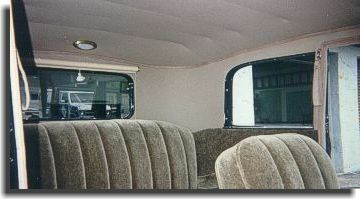 This pocket holds a curved rod that snaps into holes on each side of the interior of the car. These rods in the pockets is what holds the headlining material up. 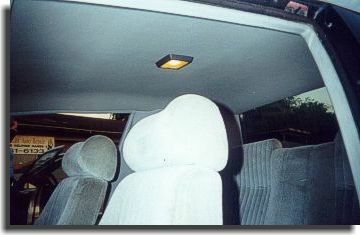 Some automobiles may have design alterations concerning the rod, but the principal will still be the same: a floating headliner. These type of headliners - only - average $200 and up. Other considerations on price adjustment is windlace, hydem, tack strip repair, patterns, original material match, roof padding, missing bows, removing and replacing glass for installation with possible new rubber seals, and misc custom modifications and repairs. Below is some examples of sewn headliners done by Catalina Custom. Chrome bars with white perforated material. All jobs must be seen for final prices. Other examples of headlers may be viewed in the Showcase Gallery. 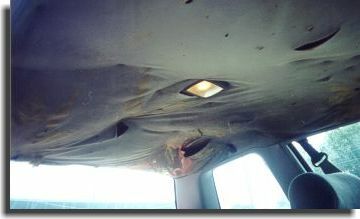 Below is before and after photographs of a board headliner repair with sunvisors.